For Contest details click here. 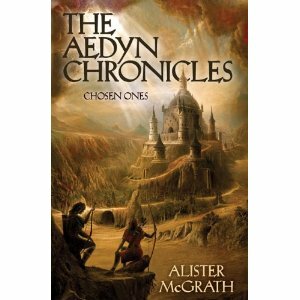 Alister E. McGrath is one of the most respected Christian theologians of this century. Born in Belfast, Northern Ireland, Dr. McGrath currently serves as Professor of Theology, Ministry and Education, and Head of the Centre for Theology, Religion and Culture at King’s College, London. Great description. Compelling narrative. Sibling rivalry. Good vs. evil. Believable characters. And even though you’ll think you know where the plot is going, the ending will surprise yet satisfy you. Sounds like all the components of a good book! I tried to tweet but Twitter is over capacity. I will try again. I am chomping at the bit to get this book. It sounds like great summer reading. I love that cover — but Zondervan always does a good job on its books. Have a good few days away, if I don’t catch up to you before then! I finally twitted correctly. Or did I tweeter? I’m much to overwhelmed this month to join in, but I thank you for the invitation! Clearly, I am behind in reading blogs. Nessa is going to be unbeatable… Drat that Twitter…. Raven, you have 14 and are solidly in 4th place. Since I have 5 books to give away, you’re doing fine!